Excavations have shown human activity in Upper Tynedale from at least Neolithic times. 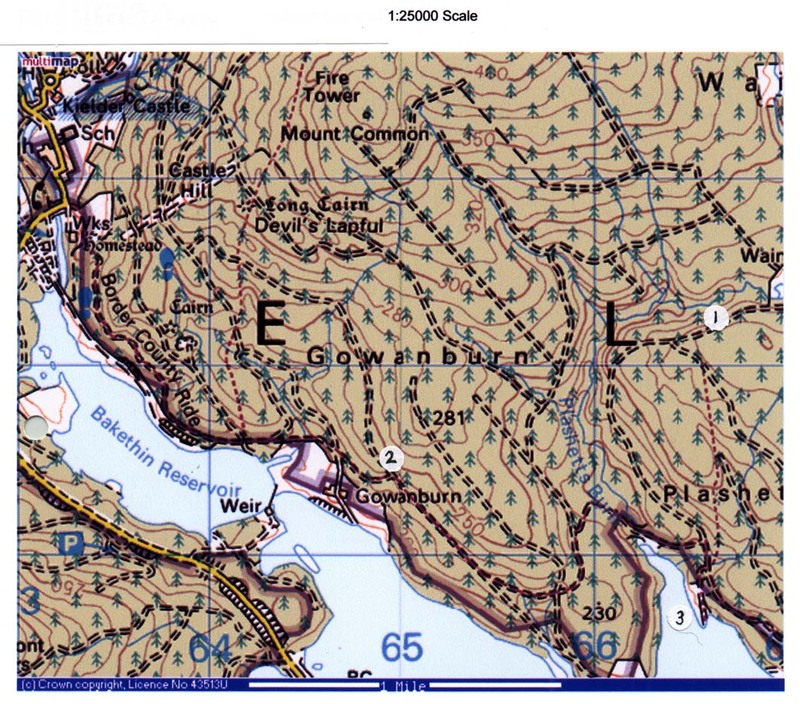 Signs of a number of Iron Age settlements and enclosures lie around and under Kielder Water, at Tower Knowe, Belling Law, Kennel Hall Knowe near Plashetts, and Gowanburn Camp Following the Roman retreat there were early medieval settlers in the Falstone parish. Cultivation terraces exist at Falstone Village, despite warfare on the border deterring settlers. The Norman Conquest reached Upper Tynedale only after 1157, when the fiefdom was granted to William, brother of Malcolm IV, King of Scotland. In Cumbria, the local lord Gille similarly blocked Anglo-Norman expansion until the 1150’s, when the Barony of Gilsland was formed. In the remainder of that century, land grants to individuals and religious institutions divided management of the area. In the 1200’s, the manor of Tarset was held by the Comyns, of a principal Scottish barony. The manor was obliged to support the court at Wark, where the record of 1279 of the decapitation for theft of Emma of Waynhoppe confirms settlement in the area at that time. The rural population of southern Northumberland had so much grown that there was insufficient land for their needs. Landlords could farm with a supply of cheap labour, but at some time in the 1300’s there was a sharp and sudden decline of population which relieved pressure on the land and the desmenes were leased out to tenants. Late 13th. century settlement in upper North Tynedale, based on Harbottle and Newman (1973); with suggested alteration to position of medieval Waynhoppe. The centre of the manor of Tarset was Tarset Hall, where the North Tyne meets the Tarset burn. The presence of the supplemental manorial complex (messuage) at Wainhope, suggests that a scatter of permanent settlements ran up the valley to Kielder and Belles. Appraisals in 1326 and 1329 of the lands of John Comyn who died in 1315, noted that for want of tenants the ‘hope’ of Waynhop and ‘park’ of Wainhope lay in waste. They had previously been worth £9 and £8 yearly in herbage. Robert Bruce’s raids had devastated the manor. A stone wall around the demesne lands – later known as Kennel Park – is still evident in the forest on the north shore of Kielder Water, reflecting considerable investment. The apparent capital messuage of Wainhope lay at White Knowe near Gowanburn, where the site of a medieval settlement complex can be traced beneath the trees. The possible remains of a medieval pele tower lie at Wainhope on the slope near the ford and above the Plashetts Burn; they were marked on the O.S. map of 1866 as a sheepfold, but had disappeared by 1970. Without tenants, the area fell to waste as it did in the late 1320’s. By 1360, an indenture from the Earl of Athol (Sir David de Strabolgy) leased to the Mayor of Newcastle upon Tyne (William del Strothre) all the Earl’s lands in Northumberland and Tynedale including ‘Waynehopside with the park of Waynehope’, but in the later medieval period there was both depopulation and a cessation of agriculture in the northernmost part of Upper Tynedale. Nonetheless, weakening of feudal lordship in the Northumbrian dales in the 1300’s and 1400’s brought an associated growth of the kinship-based ‘surname’ groups. A system of very extensive individual lordships existed in upland Northumberland south of the Coquet. The great liberty of Tynedale was the largest of the Northumbrian regalities, encompassing more than 200,000 acres in both the north and south dales. The constituent manors which made up the lordships were also very extensive, including the manor of Tarset held by the Comyns in North Tynedale from 1233 until the end of the 13th. century, when the Scottish crown was displaced as the feudal tenant in chief upon the outbreak of the Edwardian Anglo-Scottish wars. At the subsequent inventory of John Comyn’s holdings following his death in 1315, the hope of Waynhop and the park of Wainhope were noted as having no ‘worth in herbage’ because for the time being lying ‘waste for lack of tenants’. Regularisation of the use of surnames was especially significant in North Tynedale and Redesdale, where they appear to have emerged in the late 1300’s in association with the reiving clans. The ‘surname’ groups were kinship based, emerging for the purpose of self-protection in the late medieval period of chronic insecurity. The surnames tended to cluster together, occupying particular settlements and parts of the valleys, particularly in North Tynedale where the principal names were Charlton, Robson, Dodds and Milburn. As the peasant tenantry took the opportunity to clear more forest land and extend their grazing, much more pastureland is recorded in the upland hopes by 1495 than had been there a century before. Transhumance using summer shielings on higher grazing land was the practice of the numerous poor farmers with small herds of black cattle. Sheep were more significant amongst the more wealthy farmers at this time. Tynedale was a prominent source of reivers who raided into Scotland, but who preyed also on English troops returning victoriously from Flodden in 1513. Tynedale and Redesdale were ravaged in turn by the Scots. Kinmont Willie raided in 1583 and 1584, after which there was extensive decay in North Tynedale. Kinmont Willie’s biggest assault in 1593 was made with 1000 men and carried off 2000 beasts. Wat of Harden raided Gilsland as late as 1596, with the Tynedale men retaliating the following year. Documents of the 16th. and 17th. centuries indicate that there were 19 tenants of Tarset at some stage before 1584. Lord Dacre who was rewarded with extended lands for his part in defeating the Scots at Flodden in 1513, raised many enemies with his rule in North Tynedale in the following years. The Rising of the North in 1569 led by the Earls of Northumberland and Westmoreland sought to re-establish the primacy of Catholicism in England. The failure of the Rising brought severe punishment. Hundreds were hanged in Redesdale, Tynedale and elsewhere. In consequence, there was much plundering and confiscation of land and, after the Union of the Crowns in 1603, the establishment of the Border Commission also brought punitive action. 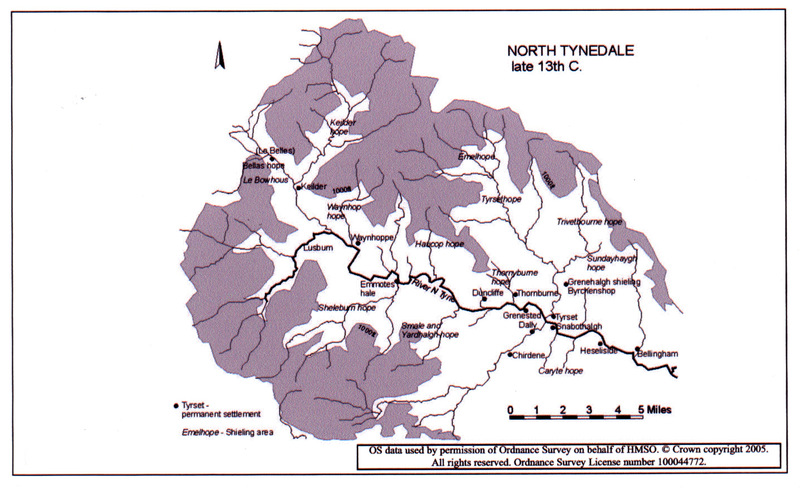 Tynedale was affected, and in Cumberland the transportation of the Grahams from Gilsland cleared the way for families to take the disposessed lands. After the Union of the Crowns there was a rapid advance of permanently occupied farmsteads up to the heads of the Northumbrian valleys. Recovery of agriculture helped population in the parish to grow, albeit still using fortified farmsteads (bastles) for protection. 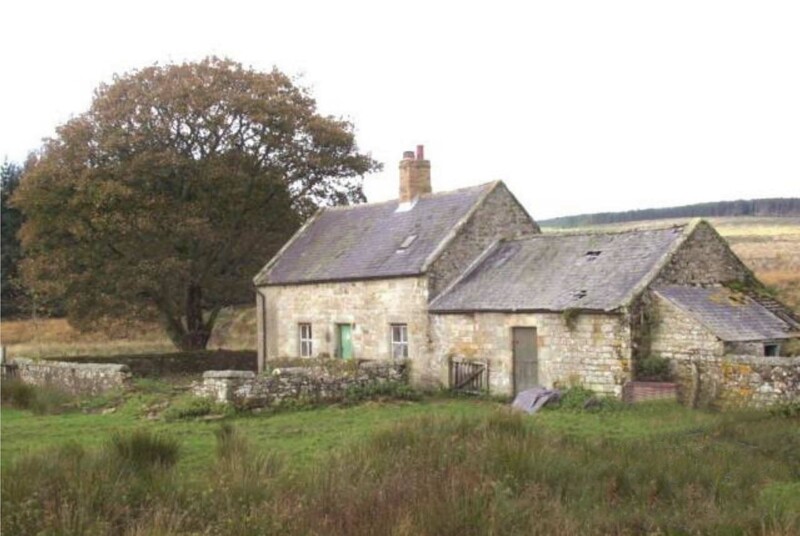 The Survey of the Border lands of 1604 showed that in the North Tyne valley between Falstone and Bellingham, family groups held tenancies usually consisting of groups of small farms in return for bearing arms. The farms were divided between the heirs at the death of the head of the family, but the upper North Tyne valley was relatively overpopulated. After his visit to Cumberland and the region of Hadrian’s Wall in 1599, Camden described the system of transhumance or ‘summering’ had largely vanished by 1700. A series of short-lived farms established in the 1600’s were lost as farming reorganised and farm amalgamation proceeded. Sheep came increasingly important to the farm economy and enclosures accelerated. In 1910, John Thompson was proprietor of Plashetts and Wainhope farms, extending to 2,703 acres. 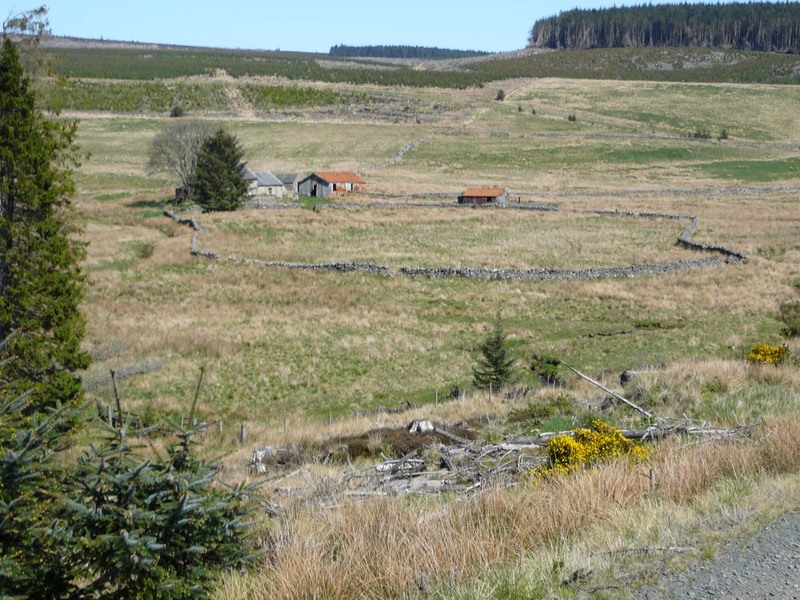 With Gowanburn, these farms were acquired in the period 1932-36 by the Forestry Commission to plant Kielder Forest. A small slate-roofed 19th. century cottage with attached shed originally for stock remains at Wainhope, recently reroofed as a walkers’ bothy and maintained by the Mountain Bothies Association. In 2007, sheep grazed at Wainhope were being sold at Hexham market.